See how your company is going to be doing in the coming months and whether your profits are going to cover expenses. The Billing outlook screen is a list of all the running projects which are waiting to be invoiced. The topmost projects in the list are those that still haven’t been invoiced, although the planned date of billing has already passed. Thanks to the Billing outlook, you’ll always see how much you’re going to invoice in a week, a month or half a year. Managing cash flow without these inputs is very difficult, as invoicing software can never provide the same data. Among the projects to be invoiced, you’ll also see fee-based projects that have not yet been opened, but that you can count on in future billing. 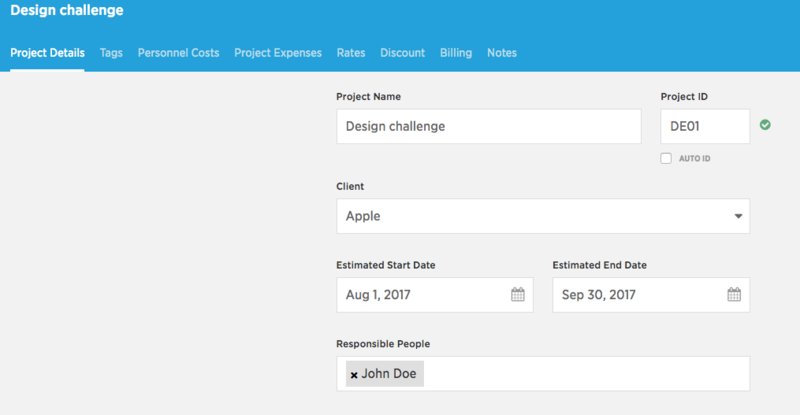 If you tag your projects properly, you can use the filter to list only the projects tagged as billable. That makes sure that you’re not looking at projects with a budget, but no billing plan (such as cost estimates, etc.). You can easily see how much you’re going to invoice the current month. Just use the pre-defined This month filter and you’re done. There’s no need to edit the from / to range. You always know whom to invoice for what, if your colleagues provide this information in the Billing tab note. As of now, Costlocker can’t create invoices, but it can tell you what and when to invoice. Your billing software can’t tell you this, but allows you to create invoices. As soon as you create and send an invoice, go back to Costlocker’s Billing outlook, click a project and you’ll get to the project’s Billing tab. Check the Invoiced field to indicate that the item has already been billed, and enter the invoice number or other data into the Bill ID / Description field if needed. A project that has been marked as invoiced will automatically disappear from Billing outlook. These are projects which have not yet been 100% invoiced, and nobody has yet planned a date of billing. This is a project in which $40.000 was billed – all three items are checked as Invoiced. However, there’s still $10.000 remaining to be billed that nobody has yet planned for billing. Costlocker will remind you about this on the day you listed as the project’s Estimated end date.